NSW Roads and Maritime (RMS) have released road crash statistics for the period 2009-20013 for the Willoughby area. There were 3 fatal crashes in 2013 (up from 2 in 20012) and compared with a five average of 1.2. 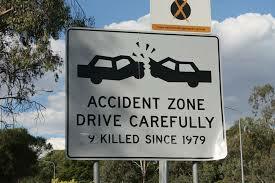 Injury crashes are reducing somewhat from a high of 167 in 2001 to 158 in 2013 (av, of 156). Non-casualty crashes show a similar trend with 236 in 2013 c.f av. 258. Total crashes in 2013 were 397 c.f 5 year average of 415. The main contributing factors in crashes were alcohol, speed and fatigue. Willoughby crashes generally rank lower than the Sydney and NSW statistics. So around 40% of crashes occurred within the West Ward (due in part to the Pacific Highway, Mowbray Rd and Epping Rd and Fullers Rd/Millwood Avenue. There were 5 pedestrian crashes at Railway/Help and Pacific Highway/Herbert St; 4 at Hampton/Broughton and Victoria/Springs and 3 at Victoria/Stanley and Victoria/Bertram. Unlike vehicle crashes which were predominately on main roads, pedestrian crashes showed significant number in residential areas. Pedal cyclist crashes occurred at Willoughy/Small – 2; Albert/Orchard – 2; Sailors Bay Rd/Bellambi – 2 plus six other locations. During the 2009-2013 analysis period, Willoughby drivers only accounted for 17% of major accidents. So, a lesson to be learned, if you are driving through Willoughby (and particularly West Ward) don’t do so if you are drunk; don’t speed and don’t drive if you are tired. The rebuilding of Mowbray School to accommodate up to 1,000 (up from the 300 at present) is progressing. The majority of residents and members of the school community are happy with the plans that ensure that the playground and oval will not be built on. This plan requires the demolition of the relatively new Library (rebuilt after a fire). However, in its place will be a bigger and arguably better library. 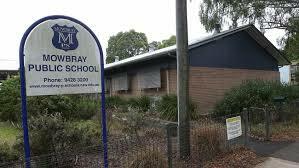 the Daily Telegraph recently ran a negative headline about the school “$1m down the drain as library flattened”. However, article also articulates the background, reasoning and community support for this important project. Over 60 people recently attended a meeting called by Visionstream and Optus at the Chatswood Golf Club. As outlined in an earlier post, Optus is proposing to install a 30 or 32 M Telecommunications tower on Golf Course land. The proposed site is in the middle of the Club’s car park and will impact on many nearby residents. Optus has engaged Visionstream to undertake community consultation. They had only notified 24 households (mainly in Colwell Crescent). The notification letter was in a nondescript envelope delivered during the holiday period. The Clubhouse was packed with local residents. There was a smattering (6) of Optus/Visionstream staffers on hand . On questioning, Visionstream said their intention was to have ‘one-on-one’ sessions with residents to answer question. This is a typical community consultant’s strategy to ‘divide and conquer’ residents . It was pointed out to Visionstream that it was rather difficult to ask a question when nobody really knew what was being proposed. However, Visionstream persisted that they were there to answer questions in a one on one situation. Former Councillor Terry Fogarty, now of the Chatswood West Ward Progress Association, addressed the throng and confirmed that the community’s expectation was to have a presentation from Optus/Visionstream. This was very reluctantly agreed to. Optus outlined the proposed location of the tower in the golf course carpark. The first issue canvassed related to what alternative sites had been considered. This included St Peter’s Green which was rejected as the owners did not consent to the proposal. This site was also rejected because of concern for elderly residents. The Visionstream representative commented that places such as aged care are considered community sensitive. It was stated that alternative sites on both the course and the local area were considered but rejected. This was primarily for technical reasons but also because the land owners did not consent to the proposal. The location of other Optus towers were also discussed as telecommunications providers are required to consider co-localisation with other facilities prior to the installation of a new site. Other sites mentioned included existing sites in far-away Artarmon, the Chatswood Tennis club and sites in the commercial zone at the bottom of Mowbray Road. So it is obvious there are many alternative sites outside of Chatswood Golf Club that could be chosen. The resident’s view is that the Golf Club site was selected because it is the lowest cost option. In addition, the Golf Club has provided consent to Optus for the installation of the proposed facility and entered in to a lease agreement. At the meeting no alternative sites on the golf course were discussed and questions relating to this were deflected by Visionsteam and Optus and answers evasive. The Golf Club President addressed the meeting. He claimed that the Club is in a dire financial position and that if the deal didn’t go ahead it may be forced to close (it would be interesting to analyse the Golf Club’s financial accounts ). The President also said that if they sold their land it is likely the outcome would probably be the construction of multi-storey units on the land. Any development on the land in the event that the Club was required to be sold would need to be approved by Willoughby Council. Land adjacent to the Club along Colwell Crescent is currently zoned as 2A Scenic Protection and E4 Environmental Living. The Golf Club owns most of the site (except for a small potion leased from Willoughby Council near the Fullers Bridge). The proposed tower will co-host Vodafone antennas. 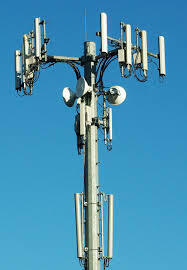 If Telstra wanted to use the tower they would need to sign contracts with Optus and the Golf Club. There will be a DA lodged with Willoughby Council. Optus stated that Council is the determining consent authority. The information provided on three panels for the session included a design sketch of the tower and location, pictures of the proposed tower superimposed onto the carpark and behind a house in Colwell Crescent and a ‘location map’ of other Optus sites in the area. The information was not yet available on the a web site (rfnsa.com.au/2067030). However, Visonstream and Optus representatives promised to advise people who left their email address when information would be available on the web. Residents were unhappy with the timing of the meeting (between 4 pm and 6 pm on a weekday afternoon) Visionstream and Optus agreed to hold another meeting outside of business hours before the DA is lodged.